While crawlspace venting is offered, and even required in some areas, as a method of preserving the floor system over the crawl space. Generally, in our Massachusetts weather, vents in crawl spaces can cause more problems than you think. The real effect is that higher moisture content in a vented crawl space can create a greater heating or cooling load in homes, thus creating inefficiencies. In addition, vented crawl spaces are susceptible to high humidity in our summer months, which can lead to moisture problems (termites love moisture) and mold growth. So in homes with crawl spaces here in New England, it's a good idea to modify practices so that the crawl space is un-vented and completely conditioned. This will create a much more stable environment, similar to that of a typical New England full basement. I'll explain how to properly condition a moist crawl space, but first let me to explain why crawlspace vents are not a good idea here in our ever changing weather. In our freezing Massachusetts winters, open vents in crawl spaces tend to fill the attached basement and upper living areas with freezing cold air. This cold air blowing into any vented crawl area can make barefoot walking on the floor above this area very difficult. Also, cold air flowing through any crawl space vent is ineffective at evaporating foundation moisture, period. Of course, very active venting could freeze the soil and this would suppress the enclosed water vapor and biological activity, but this freezing air would be hard on any plumbing pipes which could eventually freeze and burst. I've inspected many nightmare situations as I've explained here and the new homeowners are now enjoying their living area over their crawlspace, due to my suggestions. Another reason why I do not like to see vents in crawlspaces is due to our humid New England Summers, the hot ambient air is loaded with unwanted moisture. When this air is drawn into a cool crawl space through the vents, the entrained water vapor must condense. This will wet all the available surfaces...the foundation, the soil or masonry floor below, the insulation blankets (which get heavy and fall out of the joist cavities) and the wood suspended floor structure above. For example, if 80 degree air is allowed to vent into a 60 degree crawl space, the air will saturate and this excessive indoor dew will result on the surfaces in your crawl space. This situation can grow fungi wildly, which is terrible for the health of your house and its occupants. Soaking the wooden building components adjacent to the foundation invites wood rot and wood boring insects as well. After some time, the space becomes a zoo leading to real structural and indoor air quality problems. It is now understood that a major contributor to crawlspace moisture is evaporation from uncovered earth under the house. Stopping that evaporation is one key to a dry crawl space. For these reasons, I highly recommend that you have your crawl space upgraded to a CONDITIONED CRAWL SPACE. The first step in effectively conditioning your cold musty crawlspace is to neatly apply 6 mil. sheets of polyethylene barrier throughout the entire floor area. After neatly spreading this poly out throughout the entire crawlspace, smooth it out as much as possible (no wrinkles) and most importantly...make sure that every seam is overlapping each other approximately 1 to 2 feet. Simply lap the outer edges of this poly up the sides of the foundation walls about two feet up. Now tape every seam tightly with a heavy duty contractors tape. This polyethylene barrier will now give you a much cleaner, dryer area almost immediately and you can now crawl around without getting dirty. Now apply strips of pressure treated lumber at the top outer edges of the poly. Attach the wood strips to the end of the poly or two feet up the foundation with regular masonry nails or masonry screws (which will require a hammer drill and a masonry bit) to attach the strips to the foundation walls. Trim any excess plastic that projects beyond the top of the wood strips. Apply a bead of standard silicone at the top of the wood strips to complete the job. Now you want to place objects (Stones, Bricks, Sand, etc.) throughout the top side and outside edges of this barrier, in order to weight it down. 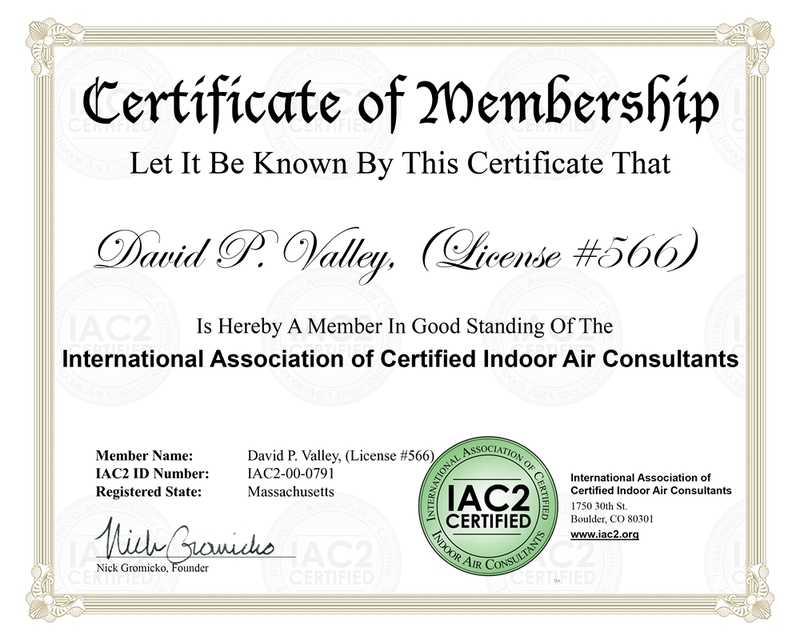 You now have a moisture resistant conditioned area that will block the water vapor that is fueling the offensive aromatic microscopic mold growth in your home above this area. Now that the poly is all laid out and all the seams are taped, you now have a nice neat area that you do not mind crawling around in. Now we need to work on covering the interior perimeter crawlspace walls with insulation which will turn your crawl space into a snug, sealed air chamber that brings further insulating value to the floor above. First, you need to permanently close and seal all crawl space foundation vents. You can do this by sealing the vents with a rigid board insulation material that can be cut to fit tightly into those small openings. Then you need to insulate the exterior perimeter foundation of this crawlspace. This procedure will save energy, make your house less drafty and will feel much more comfortable all year round. You have two choices of insulation use. You can glue sheets (1 or 2" thick) of rigid board foam insulation, onto the interior sides of the foundation walls completely around the perimeter. However, plastic foam boards are combustible and must be covered by a fire retardant material once they are installed. If you're going this route, protect the insulation by covering it with a coat of stucco or another suitable protective coating. You should leave a 6-inch gap between the insulation and any wood foundation element above, in order to provide a termite inspection area. The second insulation option would be to utilize blanket insulation. Measure and cut lengths of insulation to extend from the upper mud sill area and drape down the entire wall with 2 feet rolled out on top of the protected dirt floor. Secure the insulation blankets with 1" or 2" cleats: Hold the cleat over the end of the insulation and drive galvanized nails or screws through the cleat and into the edge of the mud sill. Now place a length of 2x4 or a few bricks on top of the insulation batts along the bottom of the wall to hold them in place. Then, measure and cut square pieces of insulation to fit in between the joist cavities above the foundation and the sill plate. Carefully push these square blankets inside the ends of the floor joists, right against the rim joist, without compressing them. 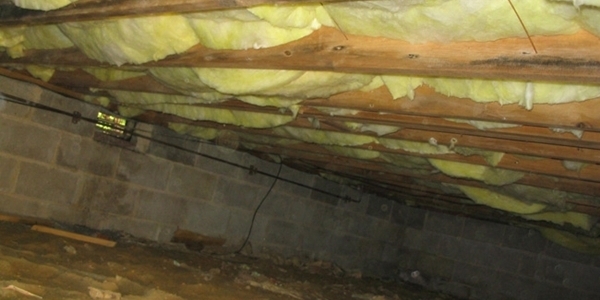 In both cases, be sure to insulate every water supply pipe, waste pipe and heating duct in this crawl space. Once your crawlspace is fully insulated, you can either leave it as it is or it can be treated the same way as any other space in the house. It can be supplied with a small amount of heat coming from your heating system. 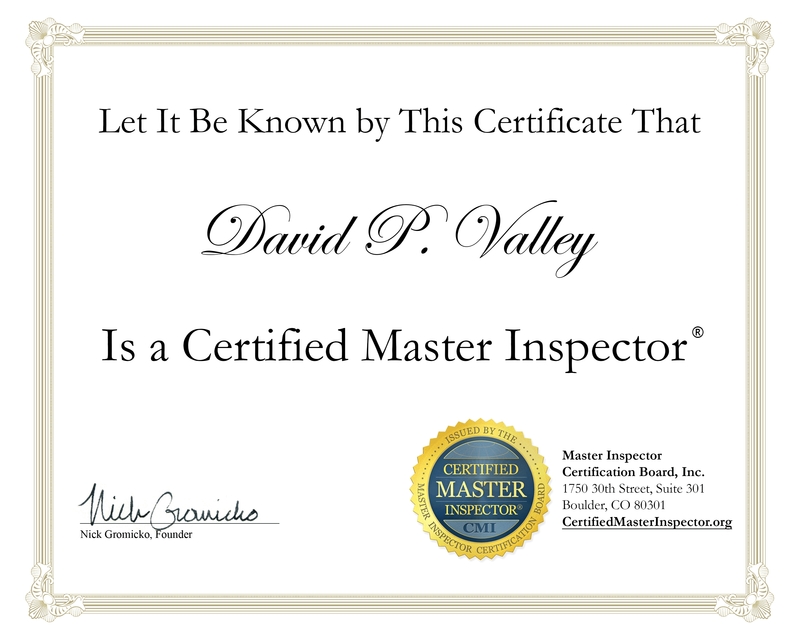 Depending on the type of your heat source, either have a licensed HVAC technician supply a small supply duct to this cavity or have a licensed Plumber plumb-in a small baseboard heater to this cavity. The heat source does not have to be significant, as it is not a living area and cold air will not be blowing through this crawlspace any longer. It is simply there to prevent uncomfortable cold floors and to prevent plumbing pipes from freezing. Good Luck with your Crawlspace upgrade.